bitcoin ‘a type of digital crypto-currency in which transactions can be performed without the need for a central bank; a unit of this currency’. This word’s prominence has grown exponentially throughout 2013. The frequency of the word bitcoin has increased by over 1000% in the media since this time last year. Many Australian are becoming aware of bitcoins through personal investment in the currency and through the increasing number of businesses that are accepting the currency in commercial transactions. The word has only recently entered the public vocabulary. It was first used in 2008 in a paper by the founder of Bitcoin, who goes by the pseudonym Satoshi Nakamoto. 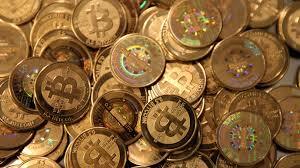 Bitcoin is formed from the computing sense of bit ‘a unit of information’ and coin. In essence bitcoins are pieces of computer code encrypted to enable safe transactions over the internet. To procure bitcoins one must ‘mine’ for them by using a computer to solve mathematical problems or exchange other goods for them. A good summary of how bitcoin works can be found on the ABC news website. selfie ‘a photograph that one has taken of oneself, typically one taken with a smartphone and uploaded to a social media website’. This word was chosen as Word of the Year by our colleagues at Oxford Dictionaries. The word has an Australian connection in that the first recorded evidence comes from an Australian online forum from 2002. The word is formed from a common feature found in Australian colloquial English – the ‘ie’ suffix. Such words include barbie, firie, pollie, and tradie. Find out more about this word at the Oxford Dictionaries blog. twerk ‘to dance to popular music in a sexually provocative manner involving thrusting hip movements and a low, squatting stance’. This word came to prominence this year when singer Miley Cyrus twerked at the 2013 MTV Video Music Awards. In Australia it gained further prominence when billionaire Clive Palmer twerked during the Federal election campaign while endeavouring to win a seat in parliament. The word emerged in the 1990s in the music scene in New Orleans. Our colleagues at Oxford Dictionaries suggest that the word is possibly an alteration of work, alluding to dancers being encouraged to ‘work it’. The ‘t’ is possibly derived from twist or twitch. snapchat ‘a photo messaging application which allows users to share photos, videos, and text which disappear after 10 seconds’. The application was launched in late 2011 and has quickly become popular with the teenage demographic. 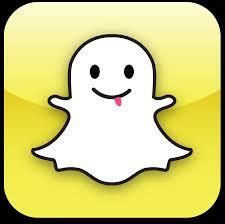 The ability to snapchat and send snaps is popular because of the perceived ephemeral nature of the content shared between users. There has been some controversy surrounding the application relating to the sharing of sexually explicit material. captain’s pick ‘a decision made by a political party leader without consultation with their party’. 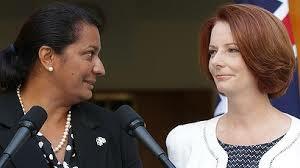 This term came to prominence in 2013 when former Prime Minister Julia Gillard made a captain’s pick in choosing Nova Peris as a Northern Territory senate candidate. The term was also used by former Prime Minister Kevin Rudd when choosing Peter Beattie as a Queensland lower house candidate. The term derives from golf where the captain of a team in a tournament such as the Ryder Cup makes a unilateral decision in selecting a team member. 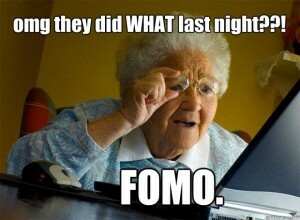 FOMO ‘fear of missing out’. This word refers to the anxiety that an exciting or interesting event may be happening elsewhere, often aroused by posts seen on social media. The possibility that ‘something’ may be happening requires the mobile phone and social media to be at hand 24/7. Earlier evidence for FOMO from 2009 shows that the acronym was originally used in contexts including the fear of missing out on buying into the housing market. microparty ‘a small political party whose policy platform is often related to a single issue’. This word came to prominence in Australia during and after the 2013 Federal election. As a result of the voting system to elect senators a number of candidates with a very low primary vote were elected or came close to be elected to the Australian Senate. 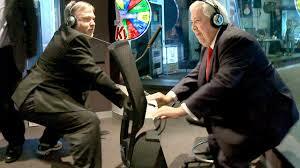 Many Australians are now familiar with the Australian Motoring Enthusiast Party and the Australian Sports Party. Microparty senators may soon hold the balance of power in the Australian parliament. The Word of the Year and the shortlist were chosen by the research and editorial staff at the Australian National Dictionary Centre. We thank those people who sent their suggestions to us via social media and email. This entry was posted in ANDC, new words, politics, popular culture, Prime Minister and tagged bitcoin, captain's pick, FOMO, microparty, selfie, snapchat, twerk, Word of the Year by Mark Gwynn. Bookmark the permalink. 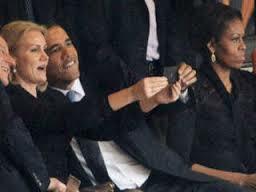 Sorry, I just don’t agree with your choice – it should have been ‘selfie’. The word just suddenly appeared in popular culture as a way of describing this new phenomena and has caught hold. ‘Bitcoin’ just doesn’t hold a candle to it, in terms of usage. Thanks for your comment. It’s always a tricky task choosing the WOTY. The ANDC staff and the public who have contributed suggestions have a wide range of views. Selfie had been on our shortlist from the beginning. When our colleagues at Oxford chose selfie for their WOTY we decided it was best to highlight the prominence of another word. Interestingly our choice of bitcoin gained quite a bit of attention in Asian media. There is no doubt that ‘bitcoin’ has entered the public consciousness quite recently and the impact of this form of currency will be a debating point over the coming years.